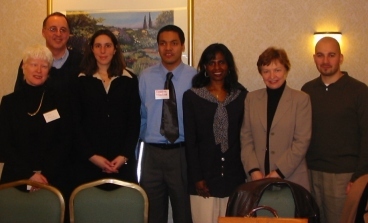 Since 1998, NEADS has organized eight Disabled Student Leadership Forums across Canada. These events have been held in Montreal, Ottawa, Calgary, St. John's, Antigonish,Yellowknife, Winnipeg and, most recently, Toronto. Detailed reports on each of these meetings are available on the NEADS web site at http://www.neads.ca. The ideas and issues discussed with participants in the first six forums fell into the following distinct areas: support to campus organisations, support to individual students, expanded internet services, high school outreach and differences between small and large post-secondary institutions. As noted in previous reports, the NEADS board of directors decided to build on the successes of these meetings by expanding the topic areas discussed to include employment. This decision was made based upon an awareness of the importance of labour market issues and access to the job market for graduating students, and the importance of summer or part time work for those still in school. It should also be pointed out that these issues were discussed in detail by the membership of the Association during its 2000 national conference in Ottawa: "Networking, Educating, Advocating: Delivering Success in the New Millennium." With the Board's direction, NEADS has moved to develop an exciting partnership with Human Resources Development Canada's (HRDC) Youth Initiatives Directorate in order to deliver this additional component of the program in four locations in 2001-2002: Winnipeg, Toronto, Victoria and Montreal. 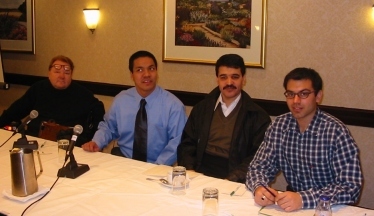 The forums in 2001-2002 are sponsored through a contribution agreement with the Youth Initiatives Directorate (Information and Awareness Program) and are being hosted by members of the NEADS board in collaboration with the Association's national office and a project consultant. Students with disabilities are invited to participate in the forums, to lend their insights to the issues at hand. A number of groups and organizations are asked to speak to the students: regional HRDC representatives, employers and employment agencies, and leaders of student and community organizations. What follows is a report based on the proceedings of the Student Leadership and Employment Forum that took place on Friday January 25, at the Courtyard Marriott Hotel in downtown Toronto. With over 50 participants at the forum, this meeting was the best attended so far. Schools represented included York University, George Brown College, Ryerson University, University of Toronto (downtown), University of Toronto at Mississauga. One student attended from Montreal's Concordia University. While the majority of the forum participants were post-secondary students, there were also some high school students in attendance. Community organizations such as the Toronto Centre for Independent Living also joined us for the day, as did representatives from the Diversity and Workplace Equity team of Bank of Montreal. The event was divided into two distinct focus areas: student leadership and employment. Discussion in each area was similarly structured, with a panel presentation to introduce each subject and put it into context and then small group discussions that took place around a prepared set of questions. At the end of each discussion, groups reported their findings back to the larger forum. This report follows that same structure, and includes a summary and concluding remarks section at the end. Jivtish began the Student Leadership panel discussions by telling forum participants about CDAC and his work with the organization. He noted that the Carleton University Students' Association funds the group and that it operates as a service centre, with a permanent office space and two part-time coordinators. CDAC functions as a resource centre and is also involved in advocacy and support for students with disabilities on campus. For projects that require designated funding to improve on-campus accessibility there are two sources of revenue. CDAC plays an important role in monitoring the allocation of resources through these funds. 1) The Accessibility Fund has been established to make the students' association building accessible. It is supported by an annual student fee levy. Over the years, the fund has covered costs of accessible desks in all the service centres, accessible fountains and entrances to all the food service areas on campus. 2) The second fund, called the Dedicated Access Fund, is used to upgrade existing structures and facilities across campus and to ensure that integration is also complete for recreational and social events at Carleton University. Another program recently launched by CDAC is the tunnel car service. Carleton has an extensive tunnel system, and the Centre now offers free tunnel cart rides to students who have difficulty getting around campus. The centre itself acts as a safe, supportive place for students to have their lunch and relax. In this way, CDAC also provides an informal peer support network. Finally, Jivtesh noted that CDAC has acquired many books and journals in its library, and students are welcome to borrow these resources. The second panelist, Hamid Mehdizadah spoke about issues faced on campus at York by students with disabilities. He pointed out that York is a very large campus, with over 40 thousand students, spread out over a large area, and that there is a good deal of construction going on all the time. These facts present barriers for students with physical and visual disabilities. This is one issue that ABLE York has brought to everybody's attention, and there have been a lot of improvements over the years on the campus. A second issue that ABLE deals with is access to information. For example, a student with a learning disability or visual impairment will course materials on tape or alternate formats. There is often a question of timing when it comes to the availability of texts for academic courses. Books in alternate formats are needed when the class begins, and ABLE has worked on the campus at York to ensure that departments are aware of this, so students do not face delays. Hamid also outlined some of the issues currently faced by ABLE. He said that ABLE was founded ten years ago and has always been funded by the Student Union, but that this year funding has been cut in half and this has posed a big challenge to the group. Hamid closed his remarks by noting that NEADS can be very instrumental in providing the opportunity, as the Association is doing with this forum, for students to get together and learn from each other's experiences. Jennison, the third panelist, provided participants with an overview of NEADS. He said that the Association was established in 1986 and is a Canada-wide, cross disability consumer organization, which advocates for full access to post-secondary education, and employment students with disabilities. NEADS has a network of over 60 campus-based group committees across the country, including ABLE York and CDAC, amongst others. NEADS is also a member of the Council of Canadian's with Disabilities and works closely with the Canadian Federation of Students. He spoke briefly about some of the project work that NEADS is involved with, highlighting, for example, the 'Faculty Awareness and Training Guide,' which is the result of a survey of colleges and universities to determine what training, if any, is being done in different parts of the country. NEADS produced this book, which catalogues faculty training on how to accommodate students with disabilities. Jennison also noted current efforts to reach out to high school students with disabilities through a new HRDC funded project. This project involves a series of focus groups with high school students to find out what their current issues and concerns are, and what NEADS can do to help them. The project team is developing information products for youth with disabilities that will help them make a successful transition to post-secondary education. Finally, Jennison spoke about CampusNet, as one of the most ambitious NEADS projects. This initiative is being supported by the Office of Learning Technologies of HRDC. The CampusNet research will result in the creation of an online community for college and university disability groups. The intention is to provide space on our Web site to discuss common concerns amongst groups across Canada, and the opportunity for groups to showcase their activities and initiatives. He said that this project, with its focus on student leadership and school to work transition, fits perfectly into the mandate of the National Educational Association of Disabled Students. Vic Willi, the final panellist, talked about the Independent Living (IL) philosophy, and specifically about the work of the Centre for Independent Living in Toronto (CILT). He made the point that IL places the problem of disability in the environment, with people's attitudes, physical and structural barriers, and systemic barriers all combining to exclude disabled people. A world has been created in which disabled people do not have the same access to things that able-bodied people do. CILT, like all independent living centres, has developed four programmes to respond to this exclusion. They are: information and referral, peer support, advocacy and research. Within these broad program areas CILT runs several projects. For example, in the area of information and referral the Centre maintains a database of all the service providers in Toronto. They also run an employment project called Navigating the Waters, which is a national program. Staff from this project were in attendance at the forum. Another CILT project deals with direct funding for attendant services, where people are given up to thirty-five hundred dollars a year to hire their own attendants and to train them. There is also a publication project, with 14 publications released to date on a variety of subjects. In conclusion, Vic pointed out that volunteering is a wonderful way for employers to see commitment and skill development on the part of young people looking to get their first job, and with this in mind he encouraged participants to get involved with CILT, and other community organizations. Following the panel presentations, participants met in small groups. The discussions led to the identification of a number of issues for disabled students, and some suggestions for starting and maintaining campus groups. The biggest barrier is attitudes, on the part of professors and other students. Negative attitudes can create a very difficult environment for students with a disability. The Ontario Student Assistance Plan (OSAP ) was another issue identified by the groups; if your income, or the income of your family, is too high you will not be eligible to receive the funding. This includes student loans and also the Bursary Program for Students With Disabilities. The issue of self-disclosure, is often debated. Many students are uncomfortable disclosing the information around their disability. Lack of access to adaptive technology is a problem; for example at one school represented at the forum there are only two specialized computers that have adaptive software and input devices. Students also spoke about trouble with funding for all kinds of supports. The issue, they said was trying to acquire funding for the technology they need to succeed in school. Physical Accessibility on many campuses also remains an issue for students with disabilities. Accommodation, such as note-taking services, can be hard to get, and there are no guarantees about the quality of the notes. Often funding and scholarship applications are not in alternative formats. There was much discussion about problems faced by groups as student leaders graduate. When group leaders graduate the groups often struggle to survive. So steps should be taken to ensure that new leaders are found at the beginning of each year, and these people should be involved in running the group as much as possible. It was also agreed that before anything formal can begin, students must get together to share experiences and support one another informally. From these gatherings more formal groups may evolve. Another type of activity suggested as positive was to develop a mentorship programme, bringing first year students together with students in their third or fourth years to help the new student adapt to university life. Graduate students could also participate in such a programme. Participants from the University of Toronto spoke about their efforts to start a campus organization of disabled students. They noted that the NEADS forum was a great boost for them and suggested the continuation of these activities in the future. Gladys, and her colleague Bernadette Kelly-Hunking, began the panel presentation by sharing some general information on the City of Toronto, and she moved to discuss some specifics on its hiring processes. She noted that on January 1, 1998, the new City of Toronto was created as a result of provincial government legislation. The new city joined together the 7 municipalities, which now make Toronto one of the largest municipalities in North America. She cited some statistics to give people an idea of the size of the new city which now covers 632 square kilometers and has an estimated 6 billion dollar budget, which is larger than the majority of Canada's provincial budgets. Finally, she said that in terms of population, Toronto is now the fifth largest city in North America, with a population of 2.4 million. In terms of employment, the city currently has approximately 46,000 staff working in 2600 different work locations. There are approximately 4,000 different job classifications. In the area of disability, the city has been working to develop new policies based on established employment equity policy, which recognizes that citizens of Toronto are best served by a public sector that reflects the diversity within the community itself. A copy of the employment equity policy was made available to forum participants. Currently the city's workforce is being survey to determine representation amongst employment equity designated groups. The aim is to identify gaps in the current workforce to be able to be in a position to recommend methods to address whatever under representation exists. The city's staff is also in the process of evaluating accommodation guidelines to ensure their effectiveness. Toronto uses a variety of methods to promote employment opportunities. These include: newspaper ads, job fairs, and the development of a resumé database. Positions are regularly posted on the Toronto Web site. The presentation closed with an invitation to consider applying to positions that are open in Toronto. It was stressed that the City of Toronto is a good place to work and that there are many opportunities available. David gave an extensive overview of the information products and youth programs developed by HRDC. He said that the programs are intended to help young people find work by providing skills training, work experience, and access to labour market information. There are several different programs that Canadian youth can access. Details on these programs can be found in the Youth Link publication, which can be found on the Youth Employment Strategy Web site at http://www.youth.gc.ca/youthlink/ythlink_e.shtml). He noted that Youth Link and other HRDC publications were available in the room on a side table. The HRDC youth programs provide work experience and career planning for young people in business, voluntary organizations, public health, and other sectors of the Canadian economy. These programs serve 75,000 young people across Canada. In Ontario these programs are supported through 30 Human Resource Centres. David pointed out that HRDC itself does not deliver many of these programs; rather they offer funding to employers to provide the work experience. Eligible sponsors include businesses, organizations, individuals, public health and education institutions, band tribal councils and municipal governments. Key federal government initiatives identified for forum participants included: Youth Internship Canada, Youth Service Canada, Youth International, Student Summer Job Action and Youth Information and Awareness. These programs are being supported through the federal government's Youth Employment Strategy and related initiatives that target "youth and risk." In conclusion, David indicated the importance of increasing representation and participation of people with disabilities in all HRDC programs. Danielle represented the Career Edge and Ability Edge initiatives. Career Edge, which was started in 1996, is a national youth internship program. It is designed to provide meaningful work experiences with some of the best companies in Canada. The program was launched by employers who were very interested in ensuring that they create opportunities for graduates of university, college and high school. The aim is that when youth come out of school they will have an opportunity to find work in Canada and develop skills to get started in a career. Danielle began her presentation by discussing some of the barriers that graduates with disabilities might face as they enter the workforce. She said research has been done in this area at Career Edge. The following issues have been identified: employer attitude, disability disclosure, physical access, accessible transportation, and potential loss of benefits because of employment. In the research many graduates with disabilities reported that they did not have enough work experience. Career Edge has also conducted some research with employers. Most employers say that they look to hire people who will assume responsibility and do what needs to be done in the workplace, with a commitment to doing the job well. Employers contacted in the Career Edge research, have also stressed that they look for individuals with initiative, an openness to change, receptiveness to new ideas and good interpersonal skills. Against this background, Career Edge has developed a program of internships aimed at graduates with disabilities, called Ability Edge. Ability Edge is supported with funding from the Youth Initiatives Directorate of Human Resources Development Canada. The program was originally piloted in 1999 with five companies in the financial services sector in the Toronto area: Bank of Montreal, CIBC, Scotia Bank, Toronto Dominion and Royal Bank. It was stressed that candidates with disabilities are welcome to apply to the general Career Edge program. However, Ability Edge offers extra support and consideration for participants with disabilities. The experience of this program has shown that internship opportunities will appeal to individuals who have the drive and confidence to prove themselves on the job. The program serves to bridge the gap between school and a career. It offers full-time employment through internship programs, with major Canadian businesses. Internship opportunities are available for university, college and high school graduates, and last for six, nine or 12 months. All opportunities are posted are on the web site, at http://www.abilityedge.org. Interns are paid a stipend of $1,500 a month for the duration of the assignment, and many of these lead to permanent employment with the firm at the end of the internship. Currently, Ability Edge offers programs in the following six cities across Canada: Vancouver, Calgary, Toronto, Ottawa, Montreal and Halifax. Danielle closed her presentation by quoting some statistics on the program. She said that as of January 24, 2002 eight different companies have been interested in hiring Ability Edge internship applicants, and that they have placed 56 interns in total. Of these 56 interns, of the ones that have completed internships, 73 per cent of them have found employment with the firm, either during their internship or upon completion. Participants in the forum were encouraged to visit the Career Edge Web/Ability Edge Web site to find out about new internship opportunities. It should be noted that Sandra MacInnis, of the Career Edge team, also participated in the forum. Terry's remarks were based on the presentation General Electric (GE) Canada uses for campus recruiting. It was a very detailed overview of the company's operations and opportunities that are available. He pointed out that it's a global company with operations all around the world. About 40 per cent of revenues come from outside of the United States, and in fact GE has business interests in 123 countries. In terms of hiring, Terry said that GE looks for people with, "a commitment to performance, a commitment to integrity and a commitment to change." Specifically he said the company looks for applicants that have done reasonably well in school, show an analytical ability and have initiative. GE is also interested in people with self-confidence, who are willing to step up and make their point, influence other people, and push back when necessary. There is also an expectation that employees will have good interpersonal skills and work effectively in teams. GE Canada looks for evidence that a person is willing to work to change things that they are not happy with, and for people that have in some way demonstrated leadership abilities. People who get involved and don't sit by and let the world happen around them; they get involved. Terry spoke about GE's commitment to diversity. The company sponsors diversity training for employees, making sure that all employees and managers are aware of the importance of diversity to the company and share some of that passion. The company often provides flexible work arrangements and brings staff together to learn different aspects of diversity, sensitivity, awareness training and accommodation of special needs. With newer facilities, the company makes sure that facilities are accessible. GE Canada also has a partnership with a school for the deaf and once a year graduating students are taken to the national technological institute for the deaf in Rochester, New York so they can get a look at opportunities for post-secondary education. In conclusion, Terry provided some details about GE in Canada. He said they have about 10,000 employees (as compared to GE world wide, which has about 300,000 employees). There are 12 manufacturing plants across the country and a 150 sales and service locations. The company is very diverse in its operations. It is certainly into the technology business such as power systems, medical systems and aircraft engines. But GE also has a financial services component and it manufactures consumer goods such as appliances. General Electric has a stake in the entertainment industry as it owns NBC. Terry mentioned that GE is developing a national scholarship program for university students with disabilities in partnership with NEADS. This will be a great opportunity to reward academic achievement. GE was also represented at the forum by Kirsten Olsen, Diversity and Employment Equity Coordinator, Corporate Human Resources. Cathy began her remarks by noting that when she started working for the Canadian National Institute for the Blind (CNIB) in 1984 it was very difficult to convince any employer that employment was an option for most visually impaired people, except perhaps a very basic repetitive manufacturing job. She then pointed out that things have changed over time in terms of expectations in willingness to integrate people with visual impairments into the workforce. Expectations on everyone's part have gone up, and that's real progress and new technologies have provided a real opportunity for blind and visually impaired Canadians to participate fully in the employment market. And she has witnessed real progress in the development of the CNIB as well. She then told participants about CNIB, noting that it has 1,200 employees in 62 offices in every province across the country, 22 of which are in Ontario. The expectation is that employees will have a degree or diploma for most jobs that are available. Cathy said that CNIB likes to promote people from within the organization wherever possible. She said people who demonstrate an innovative approach to the work of CNIB and creative ideas, are the ones who tend to get promoted. Cathy mentioned that there is a resumé databank service available on the CNIB Web site and that some 500 external employers can access the resumés that are posted on the site. CNIB has also been working in partnership with Career Edge in its national employment program to identify candidates for available positions. She closed her remarks by making the point that this strategy holds true for a great many companies, and people would be well advised to make every effort to contribute creative ideas wherever they work! Following the panel presentations participants gathered in small groups to discuss the presentations and to address some specific questions related to employment and the transition from school to work. Below is a brief summary of their discussions. What would you consider the main barriers to employment, when attempting to enter the world of work from post-secondary education? Students identified transportation as a key issue area. It is especially important they said when looking for a job to have a reliable transportation service. Concerns were voiced that the Handi Dart system in Toronto does not have enough flexibility to enable people to get to interviews at the employers' convenience, which can cause problems even before an interview takes place. Some students felt that a lack of technology was also a barrier, and that with proper technology they would have more varied opportunities. With reference to disability, how do you see your role versus the employers when looking for a job? Forum participants said that a candidate ought to find out as much about the company as possible. They also noted that it is important to develop networks, and said that the NEADS forum was a great place to do that. They suggested that people with disabilities should market themselves whenever possible. Do you feel that employers are willing to provide the necessary adaptive technology and equipment? Students felt that employers were generally willing to provide the technology, but there was a need for more sensitivity or awareness training. They said employers need to understand the disability in order to meet accommodations requirements. Others pointed out that it is important to know about your own accommodation needs, then you can inform the employer at the time of the interview. It is also useful, participants said, to have a good idea of costs of accommodations, and to be aware of any programs an employer might access to offset these costs. Are you aware of the resources available to you in your community to assist you with finding a job? Aside from the specific employment resources outlined by the panel members, which everyone agreed were very helpful, students also spoke about volunteering as a great way to find employment. They suggested that volunteering with disability or other community organizations can often lead to employment. The day's discussions were clearly helpful for participants in terms of identifying useful organizations and programs. Everyone agreed that the meeting was also a great opportunity to share and support one another and talk with people from different schools across the city. The group voiced the importance of continued interaction so we can network with one another. Students shared some very interesting perspectives on their issues and concerns. The response to the forum in Toronto was very positive. Community organizations and employers took the opportunity to bring very informative packages of materials in a variety of formats. These materials were well received and made available on the side table in the meeting room of the Courtyard Marriott Hotel. A representative from T-Base Communications of Ottawa set-up a display table outside the meeting room with federal government publications in alternative formats. It is important to note that this Toronto Student Leadership and Employment Forum would not have been such a resounding success were it not for the assistance and enthusiasm of Jennison Asuncion and Catherine MacKinnon. Chris Gaulin, NEADS' Web site Architect, provided outstanding onsite support during the meeting. We owe Jennison, Catherine and Chris our thanks for their hard work on this event. As with the previous forum in Winnipeg, attendees in Toronto were asked to sign a contact sheet during the meeting. We asked those in attendance to provide us with their name, school or organization and an e-mail address. This information is being used to follow-up with participants after the forum.